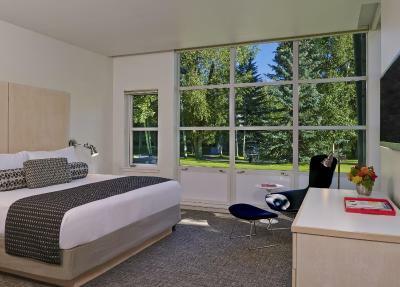 Lock in a great price for Aspen Meadows Resort – rated 8.9 by recent guests! This property is a gem. 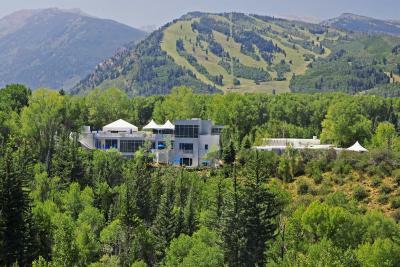 In Aspen it’s one of my favorites and always stay here when it’s available. The suites are roomie, chic & breezy. Make sure to leave time for relaxing on the grounds-you’ll want to. Resort was what was advertised. Studio room arrangement close to town. Shuttles ran very frequent and pick up also worked well. The cost of the stay was reasonable for the area. Love location as you feel close to nature. Slept well in comfy bed with nice linens. Great renovation. We have stayed there many times over the past 6 years . We love the staff. We had a one off experience this time . The setting is very nice and because it is out of town, it is quiet. Great restaurant with amazing food. 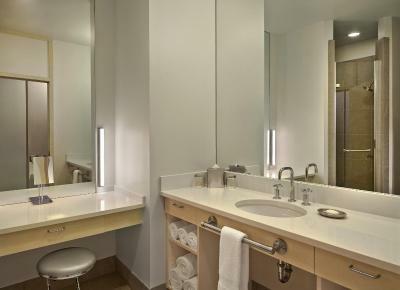 Amenities great gym,pick up from garage to hotel, amazing helpful staff, rooms clean can eat from floor !!! Rooms well equipped etc. Close to town of Aspen. The property is awesome as well as the staff! Todd made us feel right at home. I can’t wait to return! Cindy in the health club was delightful! We can’t ask for anything more! It was very close to the center of Aspen, so location was excellent! It was spacious and the views were beautiful! We enjoyed the amenities like the outdoor hot tub and pool. It was extremely comfortable and convenient! Aspen Meadows Resort This rating is a reflection of how the property compares to the industry standard when it comes to price, facilities and services available. It's based on a self-evaluation by the property. Use this rating to help choose your stay! Surrounded by the stunning Colorado Rocky Mountains and offering easy access to endless recreational activities, this resort features gourmet on-site dining and spacious all-suite accommodations furnished with modern amenities. 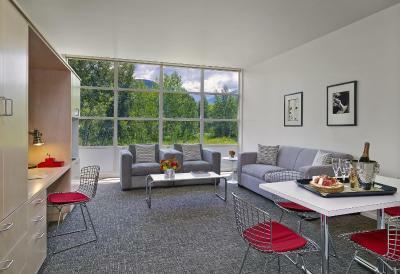 Luxurious accommodations at the Aspen Meadows Resort feature wireless internet access, mini-refrigerators and microwaves. 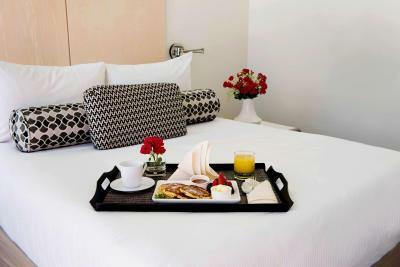 Guestrooms are also furnished with flat-screen TVs, sofa beds and iPod docking stations. While at the Aspen Meadows, guests can enjoy an outdoor year-round swimming pool as well as state-of-the-art fitness facilities. The resort also features 2 on-site dining options and a bar. A free 24-hour local transport service in the town of Aspen is available. No matter the season, guests at Aspen Meadows Resort can find a variety of activities, including top-rated ski trails, scenic hiking paths and exciting white water rafting. The downtown area, offering local shops and restaurants is also easily accessible. When would you like to stay at Aspen Meadows Resort? This room features a patio or balcony with mountain views, a separate living room with a sofa bed, as well as a wet bar, microwave and a small refrigerator. This suite features a sofa bed and a private patio or balcony. This suite offers a sofa bed and a private patio or balcony with views. This suite features a patio or balcony with mountain views, a separate living room with a sofa bed, as well as a wet bar, microwave and a small refrigerator. This suite offers a patio, a living room with a sofa bed, as well as a wet bar, microwave and a small refrigerator. 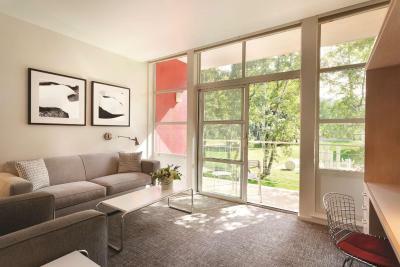 This suite This room features a window overlooking Roaring Fork River, a separate living room with a sofa bed, as well as a wet bar, microwave and a small refrigerator. 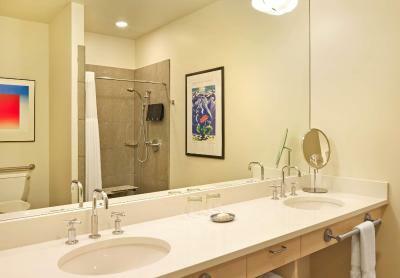 House Rules Aspen Meadows Resort takes special requests – add in the next step! Aspen Meadows Resort accepts these cards and reserves the right to temporarily hold an amount prior to arrival. no shop so all supplies must be bought in town. breakfast buffet expensive. Need to call for shuttle back in the evening. We have neighbors above us that we’re not considerate. The property allowed the limo to wait for this music group outside the room 3 nights in a row which ruined our sleep. They were coming and going throughout the evening up until 3:00 AM and the property was serving them food and we know the kitchen closes at 11:00PM. This “VIP” group had a special arrangement with the property. We have never seen this before there and they should have moved us instead of putting us through three sleepless nights. The shuttle was unreliable for return trips from town. Several times we waited 40 minutes even after calling the desk. The driver was not safe. He didn’t stop at stop signs and one drove fast. I guess they were trying to make up time. The walls are thin so we heard neighbors beside us as well as below. One concierge was great but the others were clueless. The breakfast was confusing. I finally figured out I could get an omelette for $18 if I just ordered it but if I got it at the stand it was $24. One day I had 2 bites of my daughters eggs and I was charged $24. Coffee was $5 in the restaurant but free in lobby. Our room was on the ground floor and were disturbed movements by the guests staying upper level during midnight until early morning. Beautiful location. Very peaceful. Interiors are really well done. 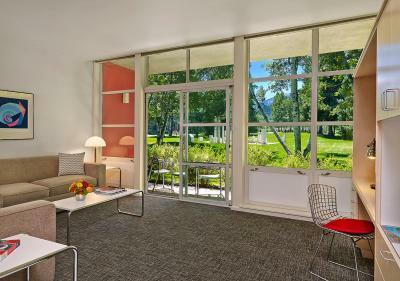 Peaceful space, beautiful design, wonderful staff! Shower drain smelt of drainage especially using hot water. They came to fix it but smell remained. Parking far from your actual room and in snow the walk is a killer if you have to carry stuff and kids. The surrounding is tranquil. Room warm and comfy.